Yo Ho – Here we go! In case you've been hiding under a rock, well… first of all, get out from under that rock! It's dirty and buggy under there! Okay, now that you're out – the new VeggieTales movie comes out this Friday! In theaters! Everywhere! You're going to see it, right? Because opening weekends are kind of important nowadays… so go see it! Friday! Or Saturday! Twice, if you like it! Or maybe three times! Not bad, eh? I'm not entirely sure how many conservative Christian families live in downtown Chicago, Manhattan, San Francisco or Hollywood, but heck, you gotta give 'em an 'A' for effort! And there are TV spots, too! I walked into a pizza restaurant yesterday and there was a Pirate spot playing on their TV, which was tuned to Nickeolodeon. So a lot of people are going to know about the new VeggieTales movie. The real question is, of course, how many will go see it? Ask me that question next Monday. In semi-related news, here's a good, fairly philosophical interview with me about the whole Big Idea adventure on a website called "The High Calling." Check it out if you're feeling thoughtful. Oh… and stop seeing that Chipmunk movie! $176mm for talking chipmunks is ridiculous! Save your money for talking vegetables this Friday! I’m so excited about the new movie! I was so sad to hear about Big Idea going bankrupt, and getting bought out, and I was worried we might not hear much from Bob and Larry anymore but look! It’s all for good because now these excellent movies are going to reach even larger audiences with their fantastic messages that are SO needed in our depraved society. I can’t wait to take the kids opening weekend! I’ll be there! Our family has already seen the movie at a special preview – it’s great, by the way! – but we’re all planning to see it again this weekend. I’ve told all of the kids and parents in my Awana club about it for the past several weeks, too. So I’m doing my part to get the word out! i waz so excited when i saw the TV ad. I’ve been trying to find show times eve since i got home! And by the way the “Chipmunk” movie is pretty entertaining. Thanks for the interview, and the link. Your work has done so much good for my family–especially Larry Boy and the Pirates and Stuff Mart. My son is obsessed with the pirates, though, and he’s already got two trips to the film planned. One with mom on opening day, one with the children’s ministry a few days later. Thanks for what you’ve done and what you’re still doing. We’re planning on taking our family and my sister’s family out to it for my daughter’s birthday party on Saturday. I was just visiting to say I have been seeing ads all over the internet for it and what a great job Universal is doing to sell it. If only “The Bucket List” was set to do battle with “Cloverfield.” Too many people see Jack Nicholson & Morgan Freeman and know it’s a guaranteed curmudgeonly good time. I’ll be there for the veggies at least Friday night and possibly Sunday. Hey, I’m as pinko leftie mainstream Anglican/Episcopal liberal urban as they come, and there’s no way in heck I’d not take the kids to the movie this weekend. Humorous talking vegetables are not a conservative monopoly, okay? What an interesting interview! The stuff you said about Jellyfish has me even more curous. Like something I might be interested in. Can’t wait to see how this plays out! And I’m planning on seeing the very first showing of Pirates on Friday. Might even see it again Sunday, hopefully with a bigger group. Midnight Showing baby! Phil, you do not need to tell me to remember to see this movie, lol! As for three times…eeeh, you know I’d love to, without a doubt, but I is broke…I’ll see it three times if you pay me to see it three times, LOL, seriously! For the advertising, dont know if Liz passed the word onto to you when I called last week, but when I was in Arizona first thing I saw were ads for y’alls movie on all the city buses, and plenty of billboards. Ooo, and a lady on one of our planes over there had a jellyfish tshirt on, and noticed my jellyfish tshirt that I was wearing…oh yes, we bonded. Its was great. But as for the chipmunk thing…what the hell?! Are you serious?! My god, what is wrong with you people…lol, ugh, hwat was funny, I was at my club officer’s meeting, and some were objecting as to why I wouldnt see that movie, and I said “dont waste your time on that hunk of trash, go spend your money on veggie pirates!” So I got a good laugh out of your comment on this blog. Also, SCAD has bought out a showing on saturday here cause a scad grad worked on it, sweetness, but I’ll have already seen it. If they charge cheaper on the tickets you can guarantee I’ll see it again. Oh yeah, when you’re at the premiere, say hi to Mike for me, I think he’s still recovering from death by this movie work load cause I havent gotten many call backs, lol! We are taking the youth group to see it this weekend. Probably be 5-15 of us. On Another note, Veggie Tales has only been in Christian stores here in Australia forever, and yesterday I was in Borders in Melbourne and I saw Veggie Tales in their Children’s DVDs department! I was V. excited! Hey… “I’m not entirely sure how many conservative Christian families live in downtown Chicago”… you got my attention. I’m a very conservative Christian who lives in downtown Chicago and me and all my friends at the Moody Church in Downtown Chicago will be heading to the film. The first I heard of the film was on a bus in downtown Chicago so the adds do work. This also gave me another opportunity to bring it up with folks at work in a casual way. All it takes is a little salt and light! Took the family to a sneak preview of, “Pirates” in November. We loved it! We’ll have to go see it again this weekend to catch some of the stuff we missed when we were laughing so hard. Can’t wait to add it to our extensive V.T. dvd collection. What an exciting week for you, Mike and everyone at Big Idea! There is so much anticipation out there, even from people who aren’t necessarily “churchy”. As for those of us who are involved in ministries, there are several Pirate events planned throughout the community this weekend. Should be a lot of fun!! May God bless this movie with much success; both monetarily and in the impact it has in the lives of children, no matter what their backgrounds happen to be. Here’s hoping that this weekend’s box office totals are off the charts! Watching it with my sis opening night! We’re gonna deck out in veggie attire and are probably going to scare adults as well as kids with our crazy veggie fanness (not a word, I know). God bless Phil! Can’t wait for Friday! I’ll be there, a car load of twenty-somethings in tow as well. Can’t wait! Have the soundtrack and the sing along songs and more DVD! Can’t wait to see the movie on Friday night! The two of us – a 50 year old children’s pastor and a 40 year old theology/philosophy prof are ready to set sail! By the way, the 20 seconds of Steve Taylor at the beginning of the sing along DVD is a great way to see an old friend and someone who the LORD used in my life and ministry! Steve Taylor and VeggieTales – a great combo platter! Congrats! There’s a billboard just like that on my way home. There have been billboards swarming NY for the past month. Really excited when I see them. I have bought nine tickets for the Saturday morning showing. Majorly disappointed that the film has been pulled in our local market (Altoona/ Johnstown, PA)…the nearest place is almost 50 miles away. It was on the list of coming attractions for weeks, and disappeared last week. I let the Johnstown theatre owner know I was torqued. I had planned to take the kids, and we had planned a special trip for the local school kids. I just got back from the first showing (11:45am). I went in excited to see the Veggies on the big screen again, but with kinda low expectations, because the last several Veggie videos have been pretty lame. I was pleasantly surprised. I liked it, probably better than Jonah. It was just a lot funnier and had a much better story! By far the best thing VeggieTales has done since Jonah (which, I know, isn’t saying much)! I liked Jonah, but I liked this more! Loved the Edward Scissorhands reference, haha. Now someone has to convince Universal to drop HD DVD so that we can get this movie on Blu-Ray Disc! Okay Phil, now make the Bob & Larry movie!! My teenagers aren’t into talking Veggies, but after reading your story here I think I drag them into the theater this weekend and make them laugh and enjoy it. I heard Phil on the Michael Medved show. I can hardly wait to see “TPWDDA” tonight. It’s going to be great! Some things you just know . . . Amazing!! Thanks so much Phil. My favorite Veggietales to date. My daughter (3) loved it. Loved the film. Told all of my friends to see it as a statement to Hollywood of the movies we want to see! at least our gang of 6 went! Best of luck with it and all the fantastic ventures you are assoicated with! Next month- your book for book club! Seth (age 4) and I went to see the first showing this morning (11:45 am, 1/11/08). We loved it! I almost cried when the king explains that he didn’t make a mistake in who he picked!!! I asked Seth what he learned and he said,” To be a hero, you have to stick to it and do the right thing!” The only downside is that he is currently building swords with tinker toys and trying to recruit his dad and brother (age 15) to be pirates with him! I thanked God that he made you-Phil and Mike…you all bless us! Just watched it! It was awesome Phil, great work! I wish there would’ve been a bible verse at the end or a God Made You Special And He Loves You Very Much, but it’s okay. Loved all the music and the animation rocked! I’m watching it again soon. Want to support Big Idea. So I saw the movie with the whole group of kids T-Shirts and all with also the parents coming to and sadly besides three other families and my swarm of veggiefans there wasn’t many people there 🙁 however everyone there had to agree it was the best kids movie we’ve seen in a long time and the best way to spend a Friday night with your friends and family. Some of my teenaged friends came and we were shocked to find Yuri Lowenthal an Anime Voice Actor to be in Veggietales playing Prince Alexander we were all so happy with the movie and every adult in the room from my view was crying from laughter whenever Mr. Lunt said something hilarious (which of course he always does) My favorite charecter Archibald I am happy to know he played a bigger role than i thought he would since he was Jonah in Jonah A Veggitales Movie. Overall everything was wonderful! From all of my friendsand everyone from my youth group we give a big thumbs up! I also forgot to say what hapened afterwards, well all the liitle guys tuckered out and the bigger kids came to our house for pizza and Bob and Larry cake. I also forgot to mention that my group of veggiefans was more like a flock it seemed as if there was a whole veggie storm creating everywhere we went. Hope for the best reviews in the Veggie universe! Phil…can you see if this film could get into the Altoona/ Johnstown market in Pennsylvania? My seven year old cried for hours lastnight that the film isn’t playing anywhere around here. My family and I loved “The Pirates Who Don’t Do Anything” movie that we saw last night. My son (who has autism) kept asking for Junior. But I think, he believes the prince is Junior all grown up. He really wants to see it again, and we will. We took the kids to the show last night and they loved it! So much so, that my 5 yr old woke me up this morning by whispering in my ear, “Mom, let’s go to see the Pirates again today”. The theater was about half full at the 4PM showing…not bad! At the end, there were a lot of little ones dancing in the aisles to “Rock Monster”. Very cute! It was my second time seeing the movie, but the first time with the finished score. I really didn’t think it would have made that much of a difference, but it did! Everything came together beautifully. Thanks, we are in CA too. We never received ours and I haven’t heard back form Big Idea, so I didn’t know where else to ask. My son always looks forward to getting it and was so disappointed he couldn’t pass out any of the stuff for Pirates at church. (He does for every kit he gets and enjoys it so much). By the way, can you tell me what you received? We just saw the movie last night and while my daughter really enjoyed it my husband and I were a little disturbed and disappointed. We heard more references to dying, killing and chopping to pieces in this one movie than we have in our enire veggie library. Veggie Tales has always our safe haven in childrens media. We knew that our daughter was watching wholesome benficial programming. Now we’re not so sure…. It took a bit to get it going, but I loved the whole thing, escpecially the Jolly Joe’s scene. I disagree with Brian, who said the last few videos had been lame. I think “The Wizard of Ha’s” is my favorite or one of my favorite VeggieTales. The silly song, “Monkey” was great, too. I don’t care if there’s an HD-DVD or Blu-Ray release, as long as there’s a 2-DISC version like Jonah. Ok, thanks, good job. I was so excited about seeing TPWDDA in theaters but I live in a rural town where it hasn’t been released 🙁 I’ll be checking every week to see it if makes it! Phil! We loved the movie!! Squee!! We were even turned down from the time we wanted to see it because it was sold out! Once we ate a yummy breakfast and explored a nearby shopping center, it was time to return to the theater. The wait was WELL worth it!!! We are so blessed that you have been able to be more closely involved with the creation of our beloved veggie stories. Your anointing makes such a difference! Lol, your the Philmanator 😉 Bringing us Truth and showing the Way in every film you make! We were soooo blessed by the messages from the King, all the laughter, the twist and turns, spills and thrills!! I even pulled my feet up off the floor as the credits were rolling, just to make sure that there were no crazy cheesecurls trying to nip at my heels! We can’t get enough of your nutritious veggies and we’re very excited to see where God will take you next!! Thank you for allowing Him to do such amazing things in you and through you!! We send our love and share in your joy of God’s awesome triumph over the enemies plans! Here’s to many more victories!! I never go to the theater. I prefer to wait to get my own copy, go to free showings, or go to thrifty second-run theaters. But I made a point to go today as my part to raise opening weekend numbers and show support for Veggie Programming. $6.75 well-spent, even on a college student’s budget. If this does well, I wouldn’t be surprised to be seeing The Bob and Larry Movie in about five years. Central Illinois still loves those Veggies! We were there at 10am today. Our girls have been counting down to opening day. We were met at the ticket counter with stickers, posters, and lots of fellow pirates shouting “ARRRR!’ at each other. The movie was amazing! Still trying to get ‘Rock Monster’ out of my head….you guys out-did yourselves with that one! Kudos on a job well done. Keep up the good work, keep the faith, and we’ll keep voting with our dollars! And, if you need any more ambassadors in our area for future productions (there WILL be furture productions, right?! ), let us know! God Bless! We want to see it, but the nearest theater showing it is over 2 hours away on very icy roads! Christians – lets vote with our pocketbooks and make this film a roaring success. Take your neighbors, encourage families from your church to go today after church. The 10 am showing was about 1/4 to 1/3 filled, from what I could see in the dark. It was a lot of fun, and I heard a lot of laughing. It may be a long time before I eat another cheese curl, though. And I hope the *next* movie has a lot more of Bob (and Junior). I missed them. Great Movie. My wife and I took our 30 month old son to the theater for his first Big Movie experience. He loved it and was still for most of the movie. We rarely go to the theater, but had to go opening weekend for this once in a lifetime event (his 1st movie). What a great choice we made by waiting for the veggies and not the chipmunks. $4,419,000 opening weekend. Sounds okay for 1200 screens. Bravo! Fantastic film!! Floored by the message that the reviewers on “Reel” missed! I wondered, though, if the blind character at the beginning is a bit of a spoof of the one at the beginning of “Oh Brother, Where Art Thou?”. Even sounds like the same actor. Thanks again, you guys did good…no, great!!! received a pirate t-shirt, some posters, stickers and a few other items I can’t remember. No dvd, though. That came with the “free” church kit (+$7.95 s+h)…good dvd! Trading cards…that was another thing…trading cards. i just looked at the weekend estimates at boxofficemojo.com an i am disappointed. But i am also disappointed at the lack of involvement by the Christian COmmunity. i had several e-mails telling me to boycott Golden Compass. But NOT ONE to see “Pirates who don’t do anything”! i just sent one out opening day, and had a couple of positive responses. Many did NOT know this movie was being released! But it seems to me like Pirates could have had a bigger audience, and Christians could have been sending some POSITIVE e-mails, rather than the usual boycott. With somethign as well known as Veggie Tales, we (the Christian Community) could have done a LOT better, and and could have in fact brought a LOT of families, secular or otherwise. Phil, if you hae a PR person, have them look into who sent out all the Golden Compass stuff. They could use that network, but mention, truthfuly & without spin, about you & Veggie Tales, as motivation to see your next feature. The thing that frustates me about Christians (especially in Chicago) is the lack of networking we do. Here we had an easy chance to rally together, and we blew it! Fun movie. Took my 2 year old to it for her first movie. She had a blast. I have been a big fan of the series since it first came out and have to say this is the best yet. My wife and I agreed that the message was more subtle than what we usually get with a Veggie product, but that did not lessen the impact. Well done. Both my kids are happily singing ‘Rock Monster’ word for word with the soundtrack already! Saw the Pirates movie…..and loved it ! Good work ! Dude! We saw it Friday. It was really good. I think we saw the first showing ever, or something. We saw it at 3 or 4 in the afternoon. The message was awesome. Really awesome. And the ending was neat. Really unique. But … we missed the first couple of minutes. Usually there is 15 minutes of previews, they tell us. But in the case of the Pirates, we talked in and it was already going. We thought we were in the wrong theater, like maybe it was halfway through in one theater and we were in that one. So we have to go see it again to see the first couple minutes. But it was good. Walked in. We walked in. Great! We all went to see it on Saturday. The message and humor were great. 🙂 Also, I really liked the message w/ the King. Stay strong and congratulate everyone for us! We went to see it on Saturday – the 12:00 show and it was about 3/4 filled. We loved it! I ‘m not a media expert or anything but looking at the box office results it seems like the movie would have been in at least 5th place based on the per theater numbers. And maybe some of the markets where the film was not released would have been better performers….just guessing. Are the estimates usually pretty accurate? I’m interested in hearing the real numbers. We’ll be going to see it again this weekend. Well, the movie wasn’t exactly fantastic. It was a bit dull and unimaginative. Sure there was fun stuff going on in the film, but it just wasn’t as captivating compared to Jonah. In comparison, the first movie is visually beautiful and carried it’s adequate dose of dramatic/action sequences. It’s songs were catchy and creative, and finished off VERY nicely with a musical finale, where Pirates is just kind of….meh. I only managed to give a small chuckle or two throughout the movie, and the “rock monster” song at the end….disappointing. BUT the writing and characterization were spot-on. I’m glad the writers did a superb job with keeping characters we know and love accurately faithful to their trademark personalities with the clever dialogue and such. Being so familiar with Big Idea and their videos, I can’t exactly judge the story. But fortunately, they didn’t fail in the writing department. After six years from their last film, I expected a movie that would surpass Jonah both visually and creatively, and a movie starring the Pirates raised my expectations, only to leave somewhat dissatisfied. The Pirates movie is more of a prequel to Jonah following the story of how the Pirates came to be and offered an explanation on how they seemingly time-warped to the biblical times. As such, this movie probably would have been better off as a direct to video movie, though I know wouldn’t have gathered a larger audience then it would in theatre. Yeah, I wasn’t that ecstatic on the movie. But I hadn’t watch a Veggietales video for YEARS until this movie brought me back and reminded of the great fun I had watching the videos, not at all for the religious content, but because they were fun to watch and yet not too kiddie to drive me away. As a long-time VT fan, I’d like nothing more but to snuggle alone within my covers like a kid, rewatch the Pirates movie , along with Jonah, and simply enjoy the movie for what it is. I would have happily spent $30 to watch the movie in theatres and buy it again for pure sentimental value. If there’s one thing I’m thankful for, it’s to Phil and Mike and everyone who worked on the movie for bringing me back to the good time and helping me remember the kind of joy I hadn’t felt in a long time. Thank you. And also thanks to those -other- fans who’ve had their take on the Veggietales universe 😀 You guys make my fandom so much for fun and cool. All you guys are awesome. Thanks! I’m taking the kids this weekend. I warn you though….there’d *BETTER* be a silly song or two in it buster, …..or I’m goin to see the diease-carrying rodents! **just kidding** I love the Veggies as much as my kids! Oh, sorry ^^’ My mistake. Saw it this past weekend. The animation and characters were great. It is a shame the Veggie Tale brand is going secular and commercial. I realize that you don’t have any control over it. Have you thought about a buy back? Our family of 5 (three boys, mom & dad) saw it this weekend, and LOVED it! It is right up there with Jonah for us! 🙂 I want you to know that our squirmy 4 and 5 year olds sat through it, and were entirely engaged the whole time! It was outstanding, and I’m usually a pretty tough critic! (I didn’t like Ratatouille NEARLY as much as this!) Thanks for continuing to turn out decent, FUN movies that we can enjoy as a family! Yo! Ho! Here we go to the pirate movie. but wait there’s a five mile long line to get in the theater. I don’t see that for the Alvin and the Singing Squirrels(Chipmunks) on opening day. and the rat movie, o c’mon a rat that can cook. i didnt see it theaters but i saw it on dvd, and nu-uh doesn’t compare. and i have one question about the pirates who don’t do anything Phil, THAT WOULD MAKE SUCH A COOL VIDEO GAME. Firing cannons, rowing a boat, sword fighting o the possibilities(did i spell that wrong?) (and did i give away the movie) o too late. woooohooooo!! OK. When do we get the Bob and Larry movie! Get to work! marcustheatres.comMy wife got one of the Ambassador kits as the Christian Education director at our church. But she was lamenting today that the movie’s release date came too soon after Christmas for her to be able to do anything with the kit (given the backlog she was facing after Advent and a Christmas pageant). Here in the upper Midwest, Marcus Theatres is doing an occasional Saturday morning family film promotion. I haven’t checked all their locations but it appears that Pirates is scheduled for January 26. A great movie for less than the price of a gallon of gas! We are going to go again and take some friends…even if their kids only watch PG-13 and up movies. It was a fun film and it was great to see the Veggies back on the big screen, but it’s pretty obvious from the numbers it’s not going to be a hit, and will struggle to recover it’s investment. The numbers are actually a bit lower than Jonah. Hard to say what went wrong, but from reading around the web the pirate theme seemed to hurt as much as it helped. Even though (as discussed here) this idea existed before POTC, the backlash from people claiming the Veggies were “cashing in” didn’t help. Maybe on the 50th anniversary of Veggie tales (or even the 25th) they can show new life as the Chipmunks have. I could not imagine I could relate so much to a grape. We all want to be heroes for our kids, don’t we? And we have all felt the sting of failure, when we feel we have let them down, or let others down. And that’s why we need the Grace of God, and a King who provides all that we need for our life’s adventures– the good, the bad, and the ugly. We’re always going to have our critics and naysayers, and there’s always going to be the pressure to be successful and to be a “hero” as defined by the world– namely, fame and fortune. I mean, that’s what I’m trying to teach my kids, that we’re living for eternal values, not earthly ones. Well, frankly, it is clear that you guys are not doing it for the fame, nor the fortune. Thanks for not giving up when you could have, and for being faithful with the talents and vision that God has blessed you with. We have seen the movie MULTIPLE times now and have loved it more and more every time. As for all of the constant comments comparing it it to Jonah, I am sure that has to be driving you crazy… this is its own movie, done on it is own and needs its own lime light and not to be compared to its other “siblings” although that is the way it has to be. I personally like this millions of times more than Jonah as do my children… We all love the music and it has also introduced my children to some more mainstream music and I love that my 4 year old can now hear Toby Mac and yell and scream I LOVE Toby Mac!! and my 2 year old runs around singing eewww waahhh rock monster all day long… Never tire of that. I am not giving up and am still talking to new churches at every chance I can get about the movie and getting people excited. Here is to the success and love of veggies!! Is it going to come out in Singapore? I want to see it, but don’t live in the states! Please release it here, or send me a special copy! Saw the Pirates movie yesterday…I thought it was hilarious! I was laughing throughout the movie as were others in the theater. I liked it even better than Jonah and loved the moral of the story. Just to reaffirm what #8 said, your audience is by *no* means limited to conservatives. As another leftist Christian, I thank God regularly for VeggieTales. I took my 2 boys (4 & 2) to see their first movie in the theater yesterday! They loved it and I loved it too. Thanks for your work – as a parent, I so appreciate your creativity and commitment to presenting the truth in such a fun way. VeggieTales are practically a daily activity in our house. Blessings to you and your family – THANK YOU! Well I saw it yesterday. I wanted to get my mom to take me in the opening weekend, but it didnt happen, so I saw it yesterday with my mom, 3 siblings, and friend. I must say, much bettert then Jonah. Good job Phil! I did not think Jonah was an exceptional film, I thought it was boring. The only really good thing was Khalil, who should have been in this movie, but what can you do? But, it could have been better. The drama and characterization were exceptional, especially from cartoon vegetables. Very good morals. But it just wasn’t that funny. It had some jokes and I laughed sometimes, but it just wasn’t silly enough. I want more silly songs! And I thought the Pirate theme song should have been in there somewhere. Anyway, it’s a shame that this movie probably will barely make back its budget. So no we’ll probaly never see The Bob and Larry Movie, which was probably amazing. Well, here’s hoping Veggietales can return to it’s former glory. Good Luck Phil. You’ve done an amazing thing here. i have been a fan since wheres god when i am scared and even though u mike and a couple other guys wich there names leav me for this moment had no money and worked in a one room apament with no heat in the dead of winter you guys still made a amazeing show. i think that the best were the one’s leading up to jhona and a few after. but i have been realized that the more shows u guys do the worst they get. even though the animation is better the shows are not. and whats with the 2d stuff none of the old veggie tales are like that. i don’t know mabey its the fame or mabey its whats happened to all great things they die. but one things for sure if you keep this up u will lose all of your original veggie tales fans (the ones that kept you guys alive during the rise of veggie tales) and u will be left a few who watch veggie tales for couler full pictures and houmor not for the moral value . i think you should go back to that one room aparment and write a epiosode or two there and maybe you will find what the rest of the shows are missing. i am sorry if this message is ruogh but i think it needed to be said. i don’t want to see a cucmumber and a tamato be put in a food proseser but i tell ya ur heading for it. Matt, those are harsh words and, well, you’re wrong when you say “but one things for sure if you keep this up u will lose all of your original veggie tales fans (the ones that kept you guys alive during the rise of veggie tales)”. Our family has also been loyal VeggieTales fans since the beginning and we are not jumping ship anytime soon. My boys are still in love with their Veggies and, prayerfully, will be for a long time to come. Can’t wait for the Pirates to come out on DVD! I am sorry if i have offened you but u can’t ohnesly tell me that the wizzard of has is as good as Where’s god when i am scared?. and i do not plan on jumping ship either but i find veggietales is becomming more and more moraless. i know it is harsh but if you keep telling them that they are still at the same level that they were at the beging. and i am not speaking for all veggie tales fans i am speaking from the ones who told me the same thing i am feeling. they have sacraficed so much over the years if you have readed the book you would understand what i am talking about. to see them produce videos with lack of Imganation and origanality. i am sorry to mark and all the rest that feel the same way he did. Matt, apology accepted, but I was not so much offended as calling out the sweeping remark that you made about losing all of the fans that were around at the rise of Big Idea. I won’t be leaving and good to hear you won’t be either! As for the “moraless”ness of the newer Veggie offerings I have to disagree there too I’m afraid. I actually think that, for example, Larry Boy and the Bad Apple was one of the more theologically sophisticated VeggieTale episodes I had ever seen. I loved the message that temptation needed to be addressed through help from a friend. I have found that sin flourishes in my life when I am in isolation and exposing it through accountability to someone else is a great way to deal with it. That’s good stuff in a kid’s show and shows a growth in the way the stories are presented now. Gideon Tuba Warrior was the same way where the struggle between what was prudent to do in the world’s eyes and what God wanted Gideon to do was more deftly presented than even the struggle that Joshua went through in Josh And The Big Wall. Mark i understand were you are coming from. maybe it is just because i have been watching them since where’s god when i am scared came out. but then agian maybe you have to. maybe i was a liitle in just with what i was saying but i have found big idea has lacked creativity since phil has left. don’t get ma wrong i am still a huge veggie tales fan but i just think they could do better. they still are very silly though. i also think that larry boy and the bad apple was good but i think it was missing something. then agian it could be just me. but i must say they have realy brought there creativty back in the new movie. may be i was a little harsh i suld have read it over to make sure i put down was properly describde. i thank you for posting another comment about what i said and it is nice to know people take there time to read all the coments. Still wating to hear more about huck and fin. thanks for righting back mark. that big idea has done a realy creative job on the new movie. i still think that that veggie tales phil back for more creativity. still wating to hear more about huck and fin and the bob and larry movie. Cousin: You know, Veggie Tales is for babies. Daughter: Ummmmm…… Wrong….. Veggie Tales is for Christians, no matter how old. My mom and dad know every word to every song. Cousin: That’s just because they are your parents. Daughter: Nope, we went to the “Christian” store the other day, and they were Veggie Tales Shirts for grownups, so….. Mom: You know, even before I had [daughter], I watched Veggie Tales!!!!!! Mom: Cause it’s pretty doggone funny! Anyway Phil, it’s been very interesting to visit your personal site. I’m sorry to read about your misfortune, and will certainly be praying that the Lord grant you grace to start another Big, Huge, Gigantic Christian production. 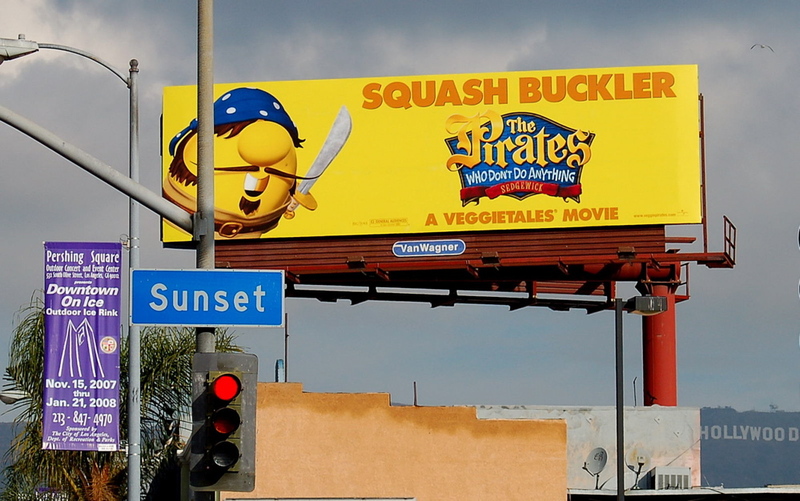 I find it very strange that the Veggie Tales Movie didn’t make it to Louisiana and Mississippi, but made it to Hollywood…….. But am super psyched to find this site. We’ll definitely be looking out for you in the future! Well recently in 2017 I have noticed a radical new look for Vegetales in the DVDs at stores. My family has watched many of the new ones. Ever since you launched ‘Vegetales in the House’ on’ Netflix everyone I know has become epically upset, including myself. I absolutely hate the changes done to Veggetales. The eyes and the color scheme is horrible and that’s being nice about it. ALL the kids I have come in contact with loath the new look. Not one and I do mean NOT ONE kid I was able to find liked the new look or the eyes. People booed the tv screen. Massive kids at my friends school have boycotted watching this kids show. Parents and kids alike are refusing to buy any of the new DVDs. Kids and parents don’t want to watch the Netflix show anymore ether. This is an epic fail…fix this mess. Bigidea went bankrupt once…please don’t let it happen again. This new look has every kid up in arms. Parents are going ape dip. Kids are refuse to watch it. Toddlers are scared because of those creepy eyes. Go back to black dots. Kids are crying because their beloved characters have changed. Also why did you lighten up there color? The vegetables now look sickly. Most kids can’t watch the eyes for more then a few seconds. The new look is just mega awful. No one thinks they are cute any more. Oh and give the original voices back…Jrs voice is yuck city. No kid likes this and I do mean no one. If you do not fix this then you better change your name to Bankruptidea.